Even the most cautious motorcycle rider can find themselves vulnerable on the roadways. Protective measures such as reinforced riding gear and helmets are no match for heavy impact against pavement. Many motorcycle accidents in New Jersey end in fatalities due to the above reasons. Those who are able to survive an accident are often left with debilitating injuries that may result in brain injury, paralysis, and lifelong physical difficulties. 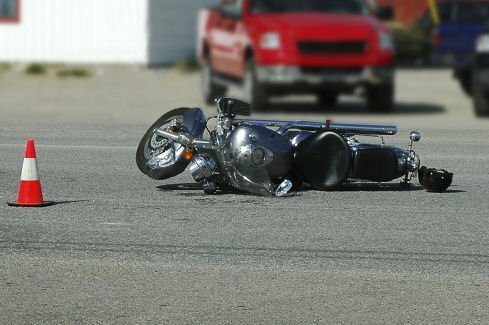 When a motorcycle accident in New Jersey leaves a rider severely injured due to no fault of their own, as in the case which another driver is found responsible, retaining a New Jersey motorcycle accident attorney may be one of the best ways of gaining compensation for damages resulting from the accident. Riders and/or family members who may have suffered serious injury from such an accident can have their rights protected, as well as hold those responsible for the accident accountable for their negligence by contacting the law firm of Bagolie Friedman Injury Law Firm. Bagolie Friedman has two accessible offices in New Jersey, one in Newark, and one in Clifton, NJ. Their team of law professionals are highly qualified in all aspects of motorcycle injury litigation. The New Jersey motorcycle accidents attorneys of Bagolie Friedman can take the worry and confusion regarding your accident case out of the hands of the injured, and into the hands of well-versed professionals who will see each case until its resolution. Contact one of the convenient offices for an evaluation regarding your New Jersey motorcycle accident.